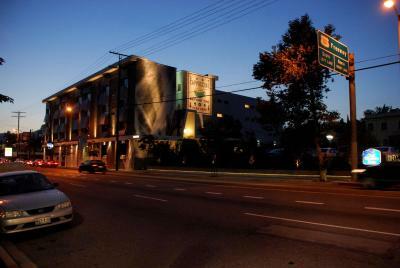 Lock in a great price for Best Western Plus Hollywood Hills Hotel – rated 8.2 by recent guests! The staff, location, & price were decent. I would stay there again anytime. The room was clean and spacious. Amazing stay overall. 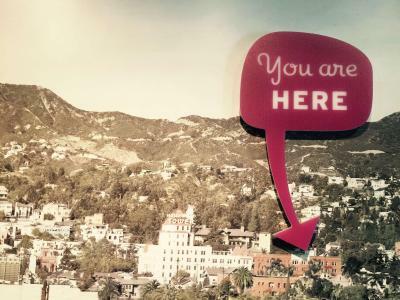 Best Western Hollywood Hills is great because of the location. You are in Hollywood, but Franklin Ave is relatively quiet compared to Hollywood Blvd. There is a diner and late night bar within the hotel which is great. 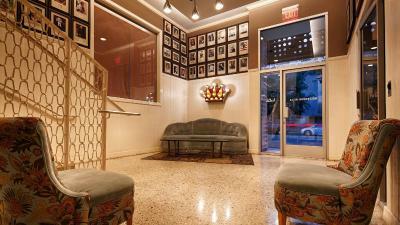 You are walking distance from Franklin Village restaurants and bars and about 2 blocks from Hollywood Blvd. Perfect location... the style of the building and rooms is excellent, and perfect for Hollywood..
Close to main streets in LA. Great to have a bar and restaurant in the facility. Also close by a number of other restaurants. 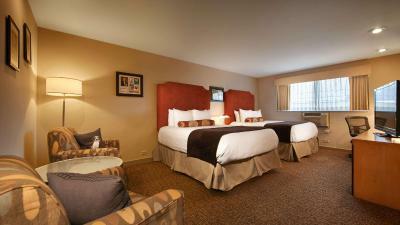 The location was great, staff were friendly and the bed was comfortable. Comfortable beds, nice sized room, great bar for a nightcap and excellent diner for breakfast. Would definitely recommend. 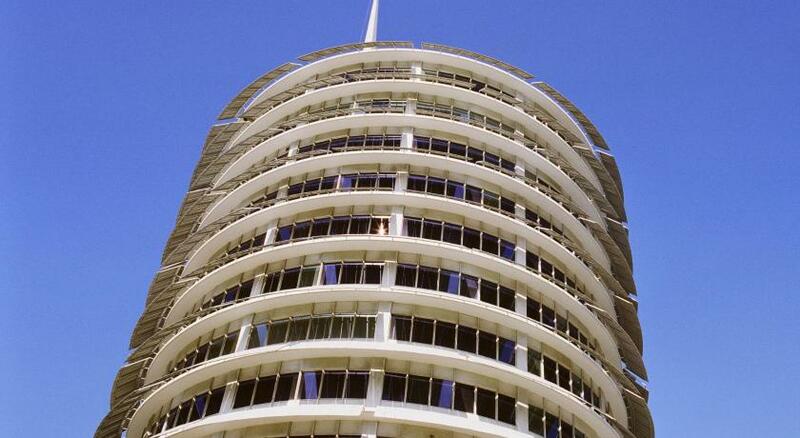 Well located to a lot of things to do in Hollywood and surrounding areas. Staff was friendly and I loved that they showed us where we could walk to from hotel for eating and to see the stars on Hollywood Blvd. 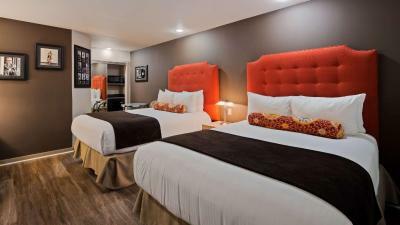 Best Western Plus Hollywood Hills Hotel This rating is a reflection of how the property compares to the industry standard when it comes to price, facilities and services available. It's based on a self-evaluation by the property. Use this rating to help choose your stay! 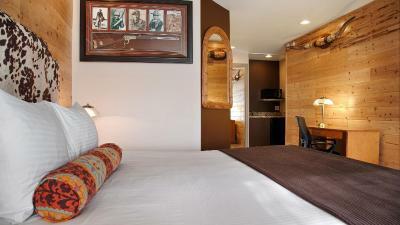 One of our top picks in Los Angeles.Just 2 miles south of the famous Hollywood Sign, this Los Angeles hotel features an on-site restaurant and an outdoor pool. 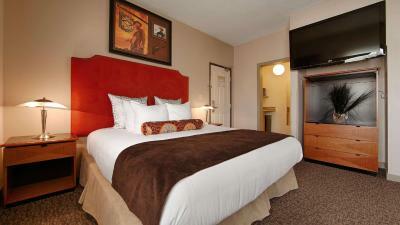 Spacious rooms offer free WiFi and a 42-inch flat-screen TV. 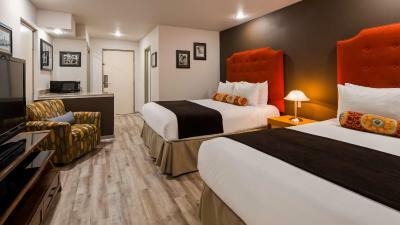 All warmly decorated rooms at the Best Western Plus Hollywood Hills Hotel include a seating area. 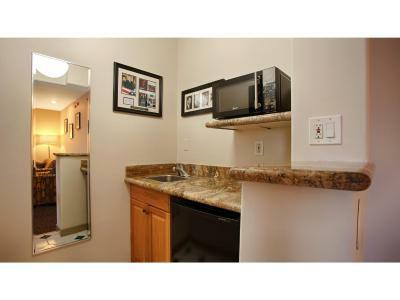 A refrigerator, microwave and coffee maker are provided in every room. 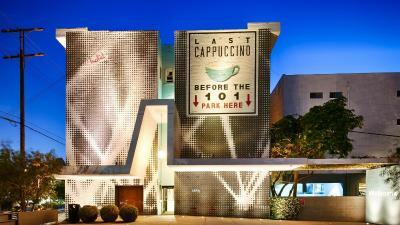 Guests can dine on-site for all meals at 101 Coffee Shop, a diner-style restaurant. 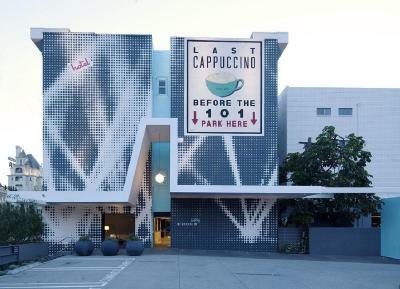 The 101 offers traditional American cuisine, coffee, beer and wine. The relaxing outdoor pool at the Best Western Plus Hollywood Hills Hotel is surrounded by a sun deck and poolside sun loungers are provided for guests’ convenience. 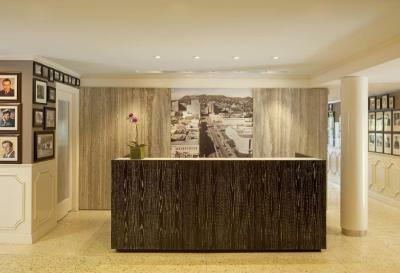 There is also a 24-hour front desk at the property. 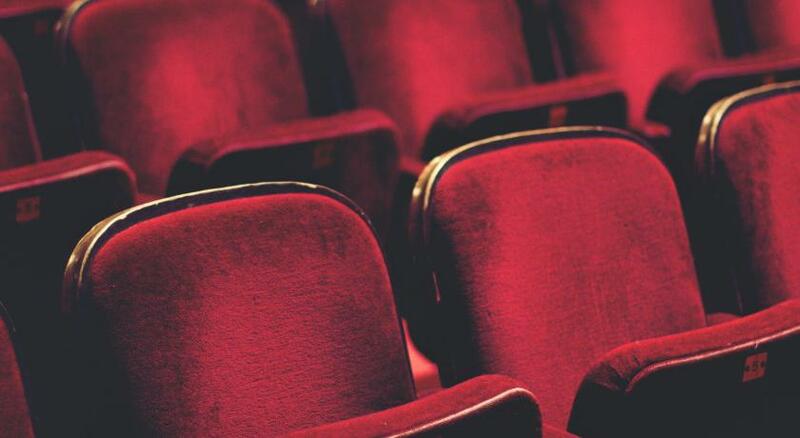 Dolby Theater and the well-known Hollywood Walk of Fame are both 4 minutes' drive from this hotel and Roosevelt Golf Course is 10 minutes' drive away. Bob Hope Airport is 10.8 miles from this hotel. 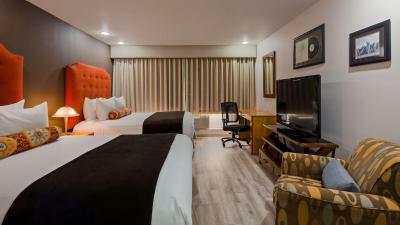 When would you like to stay at Best Western Plus Hollywood Hills Hotel? This double room has a DVD player and microwave. This double room features air conditioning and DVD player. This double room has a DVD player and air conditioning. 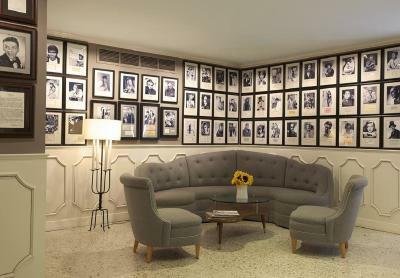 House Rules Best Western Plus Hollywood Hills Hotel takes special requests – add in the next step! Best Western Plus Hollywood Hills Hotel accepts these cards and reserves the right to temporarily hold an amount prior to arrival. Valet parking at Best Western PLUS Hollywood Hills is mandatory. No safes in the Rooms. 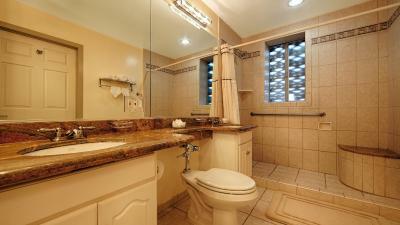 Location great, facilities such as laundry room pool and gym were great. Max on reception was extremely helpful and answered every question with a smile. 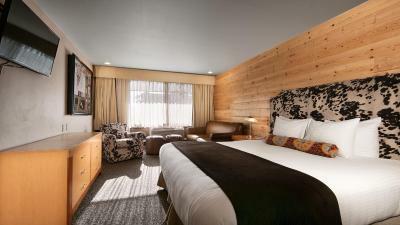 The rooms were spacious and clean and the beds extremely comfortable. We stayed for 5 nights in the pool area of the hotel and although the pool closes at 10 there was one night where a group of teenagers were having fun but loud fun until it closed. The rooms aren't the most soundproof so if you want an early night and not be disturbed then I would recommend staying in the main building. 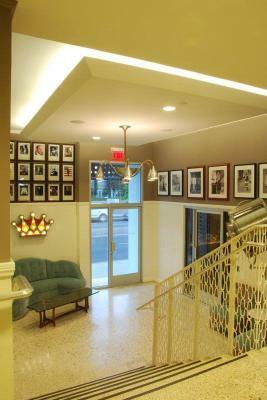 A great location if you want easy access to Hollywood and all it offers with everything a short walk away. No breakfast included or available, only diner. Expensive parking, 20USD. Weird shower. Hotel a few blocks up from Hollywood Blvd. Valet parking on site. Photos and decor reflecting the neighborhood. Supermarket on the same street 10min away. I was overcharged on my booking and it took a long time to get a response from the hotel. I was eventually refunded but the refund was still a little smaller than the correct price that should have been charged. However, the booking mishap aside, the stay was fine. Bright bathroom - no curtain on the window! One of the favourites, Cafe 101 the best breakfast around. 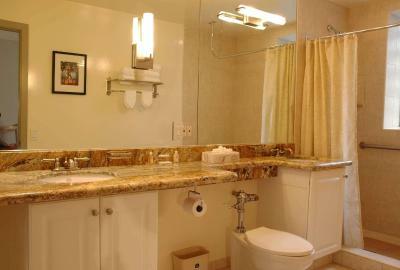 Good size rooms, very sizeable bathrooms. Onsite parking possible for 20$. The room was next to the road. It’s very noisy. Didn’t sleep well. Great location, lovely room, really helpful staff. Room was a little dusty but otherwise great. Staff were very friendly and helpful with an early check-in. Great location. Would stay again!